‘Transylvania is in the midst of the Carpathian mountains; one of the wildest and least known portions of Europe.’ (Bram Stoker – ‘Dracula’). For many, Transylvania has still remained that far-away, mysterious realm of Dracula. You will find that feeling of mystery and awe, in the presence of mountains, medieval citadels, old ruins… but there is much more. This 3-day private tour takes you in the heart of that legendary Transylvania, to discover and appreciate it beyond myth, for what it truly is: the remarkable survival of its traditional rural landscape and the unspoilt natural beauty that makes Transylvania unique, ‘a European treasure’. Sighisoara – a romantic medieval citadel town with cobbled lanes and colorful ancient houses, a UNESCO World Heritage Site. Sibiu – known for the beautiful baroque architecture, museums, cathedrals, its squares lined with pavement cafes and lively atmosphere. Sibiu was designated in 2007 the European City of Culture. Peles Castle – essential historical landmark in Romania, former summer residence of the Romanian royal family, regarded as one of the most beautiful 19th century European royal residences. Bran Castle – famous due to its links with Bram Stoker’s character Count Dracula, but outstanding for what it truly is, a genuine feudal castle witness to the history of the region. Brasov – the Old Town of the Saxon medieval burg of Brasov is one of the most attractive and popular in Romania. Transfagarasan Highway – If season allows it, return to Bucharest following the Transfagarasan Highway, spectacular switchback road crossing the Carpathians at over 2000 m altitude, (*fully open between July and October). This is a moderately intensive tour. Please consider that visit of medieval castles and citadel towers involves climbing quite cramped stairs. Set off from Bucharest, heading north towards the Carpathian Mountains. Arrival in Sinaia, popular mountain resort two hours drive north of Bucharest. Visit Peles Castle and admire the interiors and the exceptional collections of decorative art. After visit, we may enjoy a refreshing drink at the terrace cafe overlooking the castle and surrounding scenery. Then we resume our journey crossing the Carpathian Mountains into Transylvania to Bran village area. After lunch, visit of Bran Castle, explore the intricate complex of rooms and passageways and learn the true story of Dracula, prince and local hero. Later we continue the tour toward Brasov, check in at hotel followed by rapid orientation tour of the city and evening at leisure. After breakfast we set out to Sighisoara, on a journey through the plains and gentle hills of Southern Transylvania. This is the region of Saxon villages, known for the traditional villages, the Fortified Churches and for providing a rare image of an older Europe. Visit of the medieval citadel of Rupea for a feeling of the past and panoramic views over the area. Arrival in Sighisoara where we have lunch to a fine local restaurant followed by tour of the medieval citadel. Enjoy the atmosphere of the narrow cobbled streets lined with centuries-old buildings. Climb the steps of the Clock Tower for views over the city and surrounding area. 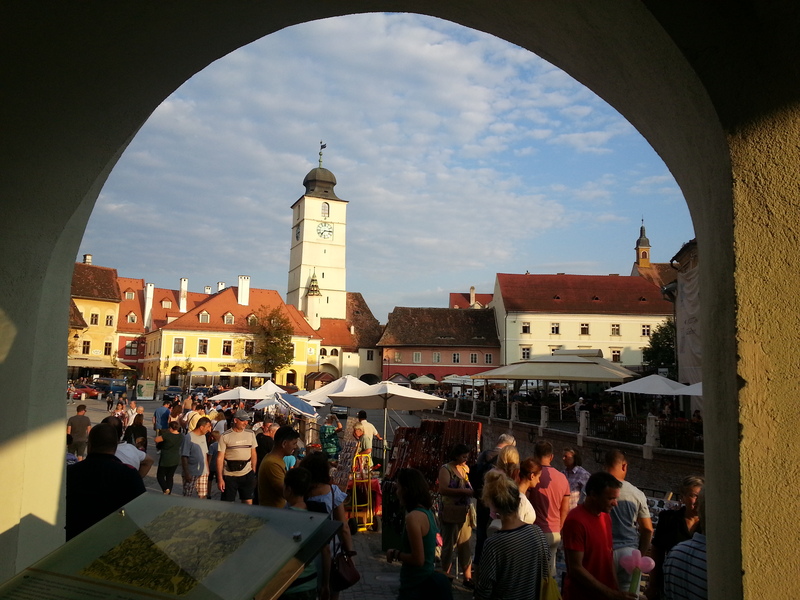 In the late afternoon continue to Sibiu, hotel check in and evening at leisure. Spend the morning in Sibiu where we have a walk around the old town. Main highlights: Piata Mare (Grand Square), Turnul Sfatului (Council Tower), Piata Mica (the Small Square), the Evangelical Church, the Goldsmiths’ Passage. 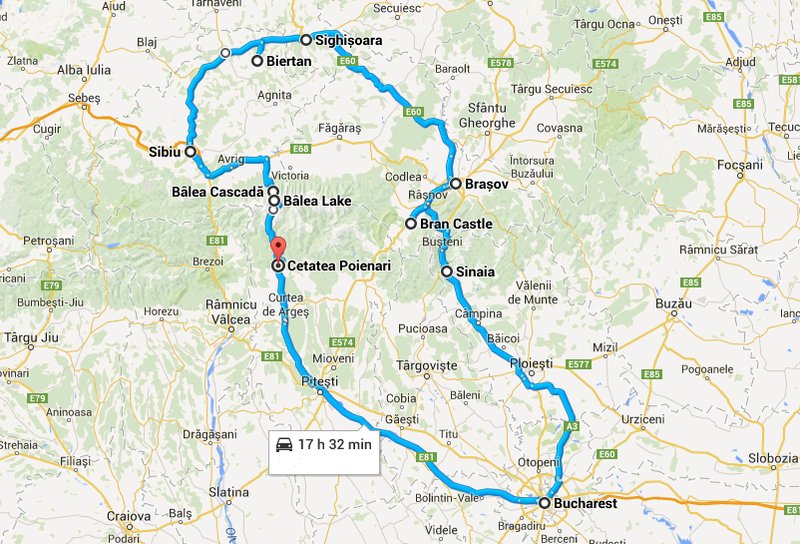 In the afternoon, return to Bucharest following the scenic Olt River Valley*. En route, stop over to visit the iconic Cozia Monastery. *During summer and early autumn season (from July to October) it is possible to return to Bucharest following the famous TRANSFAGARASAN HIGHWAY that crosses the highest section of the Romanian Carpathians up to 2034 m.